The Community Foundation of Bloomington and Monroe County, Indiana | Welcome! The Community Foundation knows that vitality can come from all corners of our community, so we value knowledge and resources to advance important causes. 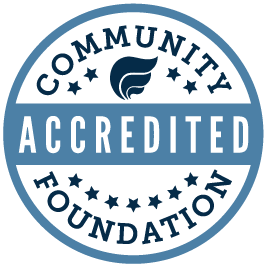 Established in 1990, the Community Foundation of Bloomington and Monroe County is a nonprofit, community corporation created by and for our local citizens. We create positive impact, help people achieve their charitable goals and collaborate in order to improve the quality of life in Monroe County. Almost anything is possible when we connect this community's greatest assets. The Community Foundation leads the community to create powerful partnerships with donors, area leaders, businesses, and nonprofit organizations. It is exciting to think about what the next 100 years will bring for this community and how this Foundation can play a part in defining Monroe County’s continued success. While we cannot know what the next 100 years will bring, we feel confident that Monroe County will continue to be powered by giving. The thoughtful philanthropy of those who live and invest in Monroe County helps to ensure that this community is one that every generation wants to call home. Community Foundation receives $1 million matching fund grant from Lilly Endowment Inc. The Community Foundation of Bloomington and Monroe County (CFBMC) has received a grant of $1 million as part of Lilly Endowment Inc.’s seventh phase of its Giving Indiana Funds for Tomorrow (GIFT) initiative.